A balanced combination of millet, seeds, pulses, grains, corn, dried fruit, garlic and sesame sticks and soya mince form this top-quality budgie diet. 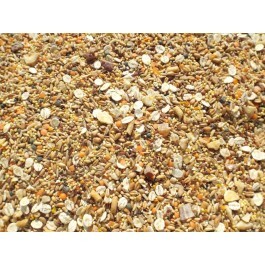 The mix is 99% edible and the majority is pre-shelled, so reduces waste and mess. It contains added kelp powder for increased mineral levels. This diet contains no more than 5% millet and no less than 5% dried fruit. 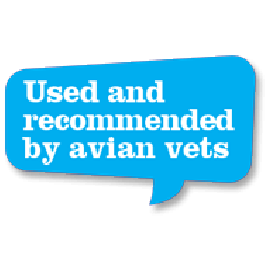 Used and recommended by Avian vets. 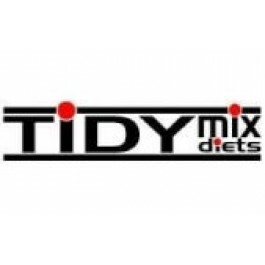 Ingredients: Millet hulled, oat groats, mix canary seed, brown linseed, whole wheat, barley flakes, chick corn, brown rice, red split lentils, banana chips, puy lentils, garlic sticks, sesame sticks, chopped dates, diced apricots, soya mince, kelp powder.